Mr House has led several national debates - most notably his calling for the creation of a single, national Police Service for Scotland and on the link between alcohol and violence in Scotland. Chief Constable of the new Police Service of Scotland Stephen House was born in Glasgow in 1957 and lived in the city until his family moved south 11 years later. 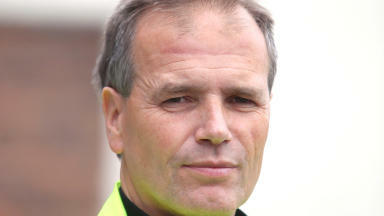 He studied at Aberdeen University before joining Sussex Police in 1981. The 55-year-old worked as a constable in Brighton for most of his early service and policed the Brighton Grand Hotel bombing and the miners' strike. In 1988, he transferred transfer to Northamptonshire Police and was promoted to sergeant. Having progressed to the rank of chief inspector he moved to West Yorkshire Police in 1994 where he worked as a superintendent in the performance unit before being promoted to divisional commander in Central Bradford. Mr House was appointed assistant chief constable in Staffordshire in 1998. He joined the Metropolitan Police Service in December 2001 as deputy assistant commissioner, where he worked in Policy Reviews and Standards. In early 2003 he moved to Territorial Policing and was appointed assistant commissioner of Central Operations in January 2005 and went on to set up the new business group from scratch. In 2006, Mr House moved to oversee the Specialist Crime Directorate with responsibility for a diverse command including homocide, child abuse, economic crime, flying squad, kidnap and hostage negotiations, covert policing, asset recovery, gun crime, forensics and the disruption of criminal networks. 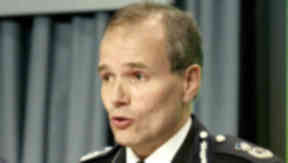 He was appointed Chief Constable of Strathclyde Police in 2007. During his time in Scotland Mr House introduced a new model of Community Policing, with impressive results. In 2007 there were 527 Community Officers working beats in the towns, cities and villages of Strathclyde. There are now well over 2500 such officers. He was awarded the Queen’s Police Medal in 2005. He is married with three children. It was announced on September 25 that Mr House would take up the post of the first Chief Constable of the new Police Service of Scotland in 2013.